BELIEVE IN MAGIC Star Sign For Gypsy Fairy Gardens. 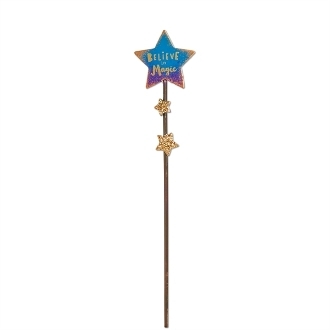 Full Description: This sparkly sign is a reminder to "Believe in Magic" and will add a special touch to any mini garden. Features all-weather paint. Made of metal.